The two legends of the Nautique Big Dawg World Tour went head to head for the final two on Sunday. Ben Favret challenge Dave Miller and Miller with both running a trying 39 after two days of skiing. Dave Miller put up a score of 2 at 41 and Favret came back with .5 at 41 giving Dave Miller the title of the Big Dawg of Michigan. Thank you to all the sponsors and our gracious hosts Jeff, Patty and Whitney Smith. 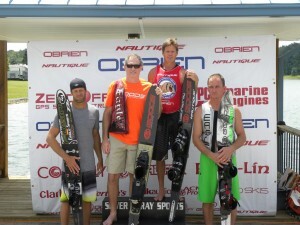 A special thanks to all the sponsors who help contribute to the different and exciting show of water ski athleticism. 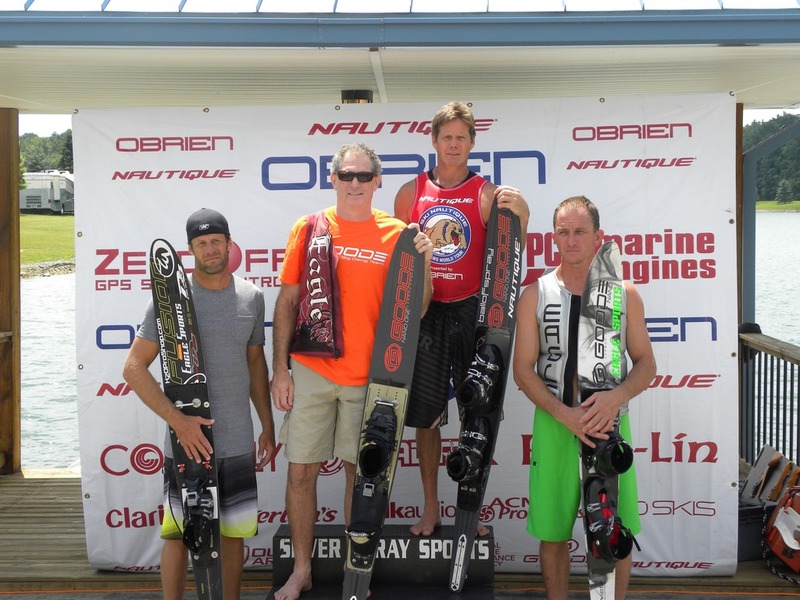 Also, thanks to the skier who dedicate their time and passion for this sport and to Nautique for bringing us this series. See you at the finals in West Palm Beach! It was off to a slow start this morning with only a few guys getting into 41 off in the first round. But after the warm-up, the Big Dawgs were fighting to get into the Sweet 16. Weather was not a factor. There was no wind and sunshine all day. Water temp is about 80 degrees and the shore lined with cheering spectators. Congratulations to the Sweet 16. Start time 9:00am on Sunday.